On March 22, 1957, a former Johnstown YWCA Member who had moved to Greensburg wrote a letter to the YWCA headquarters in New York City asking about starting a YWCA in her new hometown. In her letter, Reta Kuyat said she was willing to take the necessary steps to start a YWCA. Before long, a small group of ladies decided to hold an exploratory meeting on May 29th at the Greensburg High School on Main Street. Ten women accepted responsibility to gather the necessary information and resources to start a YWCA. A membership drive began and on October 3rd, Ms. Kuyat presided over the last exploratory meeting. She asked all present to pray for guidance and then called for a formal vote to establish a YWCA in Greensburg. It was unanimous in favor of a YWCA. Then the real work began. During a “provisional stage” the group needed to determine facilities, program, a budget, a constitution, a nominating committee and a membership plan. The fledgling organization offered an exercise class (a physical exam was a YWCA prerequisite) and golf. Barbara Templeton was elected as acting executive director and the steering committee decided to rent 2 rooms over Gordon Kaufmann’s at $30 a month. The new phone number was 6435. Membership grew to 600 with dues set at $2 for adults and 75 cents for juniors. With a board of directors in place and a constitution adopted, the YWCA received its charter on March 6, 1959. Funds to meet the demands of this rapidly growing organization were the first order of business for the new YWCA. Bake sales, card parties, and the sale of brooms, pickles, twine, firewood, cookbooks, candy, pickles, fruitcakes and Christmas greens all brought money into the organization. Special events included bridge parties, bazaars, and food booths at festivals. A Ladies Day Out program hosted by Ruth Woomer was begun. Soon Bob Woomer joined his wife and the Ladies Day Out program grew to longer tours all over the world known as the Merri Milers and Y-Tours. On September 14, 1959, the Association moved to 323 S. Main Street. During this year, the Association was accepted as a United Fund Agency. In January, 1960 the YWCA established the “Outgrown Shop,” opened on the last Saturday of each month. Business must have been good, because in the November 1961 newsletter, members were asked to patronize the “Nearly New Shop,” and by May, 1962 the Nearly New Shop was being called the YWCA Thrift Shop. The shop moved to 221 S. Maple Avenue on September 10, 1963 and is still at that location. The shop was razed and a new shop built on the site in 2005. It remains a critical component of both community service and income support for the YWCA’s many programs and services. In February 1970 the board was informed that the Katharine Horn home at 424 N. Main Street was being offered to the YWCA for a nominal fee after serving briefly as a manse for Christ Episcopal Church. Negotiations ensued and the YWCA acquired the home for its headquarters that fall with a dedication on September 12, 1970. The home continues as the YWCA’s headquarters today. 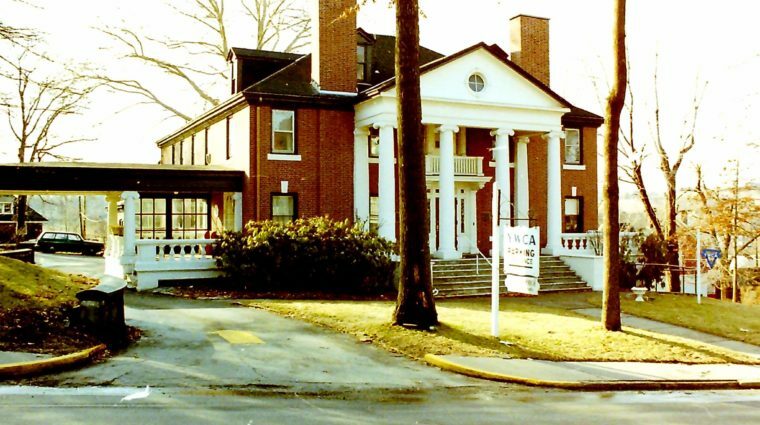 A 4000 square foot addition was added in 1996 to accommodate the YW’s continued growth and the original building was renovated in 1999. Today the YWCA offers various programs and services in 8 different locations, and holds the beautiful William Huff home as an important community resource for the YWCA and others in need of beautiful meeting space.